The Totty Hotel: Totty Hotel The Totty Hotel was built in 1893. Mr. Will Totty’s family lived in the south wing of the main floor and the north wing of the main floor was rented for special purposes. In 1894 the post office occupied part of this rental space. A barber shop, a millinery shop and a drummer’s room for traveling salesmen also occupied the ground floor. Other rooms were rented out for town parties. The kitchen area was in a separate building to reduce the danger of fire in the hotel. 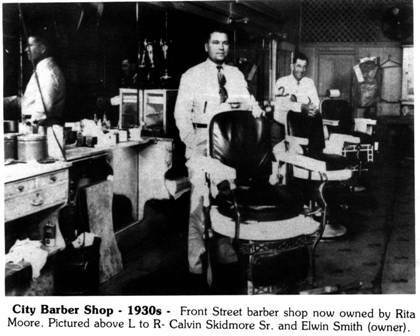 The barber shop (tonsorial parlor) was run by J. W. Caskey and featured hot and cold baths. In 1894, Mr. Totty had made arrangements with the railroad to pipe water to the hotel from the railroad water tank located in front of Kennedy Bros. Grapeland was the only town on the line that the railroad allowed to use water from their tank. The water was piped to all the rooms and was used for bathing only. The hotel was built around an open court with inside verandas looking down on a beautiful flower garden. The dining room was located in the rear and the trains stopped in Grapeland for the employees to eat in this hotel. The hotel was located on lots 5 & 6 of block 2 which is the present day location of Johnson Income Tax Service and Watson’s Game Room. A livery stable was located to the north of the hotel. The original owner of the Totty Hotel was Will Totty. The Totty’s moved to Palestine and the operation of the hotel was taken over by Mr. and Mrs. B. F. Hill for a short time. Mrs. Ursprung (Norma Murray’s grandmother) operated it from 1906 to 1910. The hotel was then purchased by Frank Denton and became known as the Denton Hotel. In 1915 it was leased to T. W. Marshall who in turn leased it to Mrs. J. F. Garrett until Sept. of 1917. The Marshalls then resumed operation from Mrs. Garrett and bought the hotel. 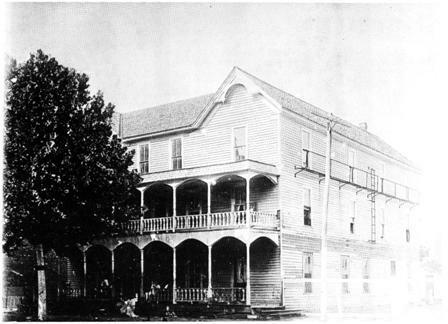 The hotel Burned about 1925. Voices of Warning – 1912: Up to the present time owners of automobiles have treated me nicely and I hope they will continue to do so, and I am sure I will not intentionally give them occasion to do otherwise, But I find some people who say they haven’t been treated right by drivers of the machines. In the first place, there are places on our roads that a person driving a horse or mule team cannot give half of the road, it being only wide enough for one at a time. In such cases, when run upon by an auto, the driver should take in the situation and to prevent an accident should slow up and give the other driver a chance to be courteous. Be assured of this fact, the auto has no judgment nor feeling for suffering humanity or for stock, and it is not known when something about it will get out of fix and become uncontrollable and for such reasons people should be very careful. Most of the people will not only give half of the road, but will give all of it if they have a showing to do so, because with me I feel so much safer, owing to the weight and speed of the machine in comparison to that of a wagon or buggy. Should the auto strike a wagon or buggy going at the rate of 6 or 8 miles an hour the vehicle is torn up and probably the driver killed or crippled for life. So I write this as a warning to one and all owners of autos, hoping no one will become offended and reckless, for I say again, there are places in our roads where autos and other vehicles can not pass. So in such cases if I am overtaken I give a signal by raising my hand up and holding it up until warning is accepted or rejected and I hope that such notices will be recognized and adhered to by the machine owners, which in most cases will prevent friction and trouble. Otherwise trouble will follow. Let each one recognize another’s right as American citizens and all will be well. As ever, I remain a friend to right and oppose the wrong. Race Car: The ‘Black Devil’, racing car, no. 252, recently purchased by Messrs. E. I. Berry and `Tump’ Murchison, lays a twisted mass of iron and tin. Monday night, the junior partner, Mr. Murchison, took the car out for a little spin and to give some of his friends a joy ride. He was coming down the street by the Messenger at the highest rate of speed that the car would run—which was about eight miles an hour and as he approached the corner of Darsey’s warehouse, the car swerved to the left and crashed into a large hay press, throwing two of the boys from the rear of the car. `Tump’ climbed from the ruins, unhurt and after examining the machine sorrowfully concluded that there would be no more joy rides in ‘252’ very soon. The fact that no one was hurt is almost a miracle, considering the high rate of speed the car was making, and had it been running slower probably the damage would not have been so great. The hay press shows no signs of the collision. We trust this will be a warning to other drivers who are inclined to disregard the speed laws. J. 0. & Dorothy Herod Grocery Store: J. 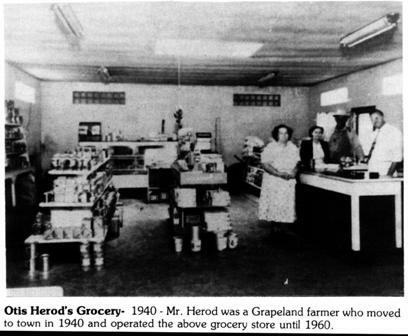 0. and Dorothy Herod was in business in Grapeland for 42 years. 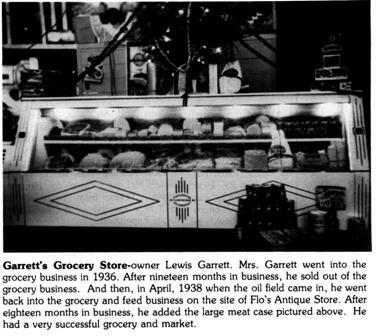 They owned and operated White Kitchen Cafe and Herod’s Grocery. James 0. Herod and Dorothy Bridges Herod left their hard farm life to seek their fame and fortune in the city of Grapeland during the hard economic year of 1925. After saving a year’s profit on their cotton and pea crop of some $25.00, and another $40.00 or $50.00 from trapping money and butchering farm-grown meat and peddling them for money, they bought a small back alley cafe in `town’ behind the former front street post office building from a Mr. Robbins…. the purchase price was in the neighborhood of $100.00. They ran this cafe until 1927 at which time they opened The White Kitchen Cafe on Front Street (approximately where Walling’s Drug Store is now located). One of the counties best home-cooked food cafes (with Dorothy as cook), boasted of 10 cent chili, 20 cent stew, 35 cent steak (with potatoes and gravy), and 10 cent pie. The Herod’s kept this business until approximately 1935, only to reopen a business with Jim 0.’s brother, Otis, under the name of Herod near of Main Street (now the site of the First State Bank) and ran this business during the war years 1942-1945. 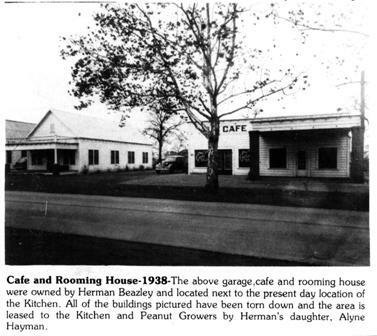 The Herods saw an opportunity to own their own building, so in 1946 they sold the store to Guy Manville and bought the old Guice Blacksmith building on the side street; tore the building down, and rebuilt on the site a modern, cinderblock building which became their final business home until 1969, when they retired after 42 1/2 years of service to their community, neighbors and friends. They touched the lives of all they knew, helped many in times of need and distress, and made wonderful memories for Jim 0. and Dorothy Herod…they left their mark on the city of Grapeland and its fine history. 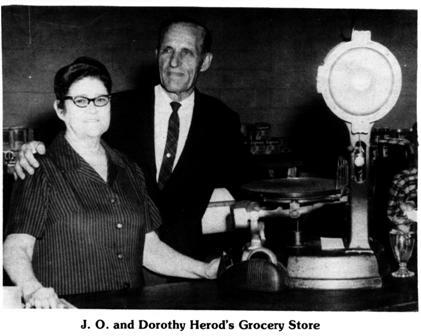 Jim O. and Dorothy Herods… they left their mark in the city of Grapeland and its fine history. Bicycles-February 22, 1917: Grapeland has a bicycle brigade, consisting of about fifteen boys from eight to fifteen years of age. The clayed streets are not good enough for them, so they up and come tearing down the sidewalk in front of the stores like a bunch of Apache Indians, demanding the right of way, and even ladies have to get out of the way of these riders many times being forced to get off the sidewalk. On Saturday it is a common thing to see a big `yearling’ boy run against a lady with his wheel. The parents of every boy who has a wheel know it is not right to allow this practice and should prohibit it. Carry His Licker: What has become of the old fashioned man who used to pride himself on the way he could carry his licker. —Alvin Sun. He lies beneath the sod in Oak Wood Cemetery and the boys are burning his money in a six-cylinder roadster as fast as the law will allow, cutting down the distance between road houses–just like the old man, only hitting the trail at a faster pace. Kennedy Brothers Store: Kennedy Brothers Store C.W. (Charlie) and J.C. (Chester) Kennedy were partners in a general mercantile store known as “Kennedy Brothers” for some 80 years. 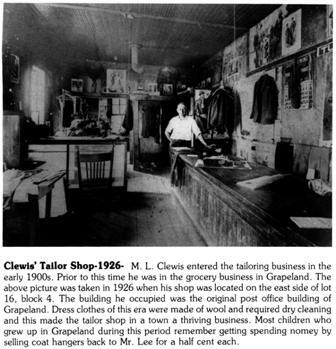 The business began in Augusta and moved to Grapeland on January 1, 1909. The elder (Charlie) died August 26, 1952 and the other partner in 1958, after which the business was carried on by John Kennedy, their nephew, as manager but still under the original name. The Grocery and Hardware section of the store was closed in 1958, but “Kennedy Brothers” continued as a dry goods and ready-to-wear store until January 1, 1979. In partnership with John were Charlie’s three children: C.W. Jr. of Crockett, Ruth of Grapeland and Dr. John C. of Houston. (Chester had no children and his wife, Clara Rice preceded him in death in 1953). The original brothers were sons of John and Josephine Kennedy of Augusta. Josephine was the daughter of Eliza McLean Wall whose father, Daniel McLean, came to Houston County, Texas, from Tennessee in 1813 as a member of the Guitierrez- Magee Expedition. 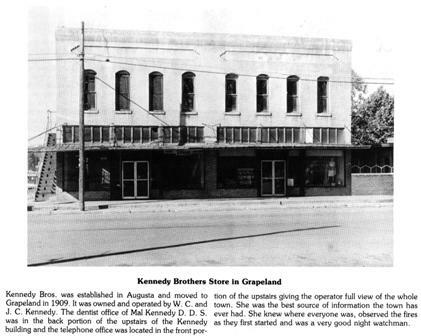 The business in Grapeland was housed in a large two-story brick structure built about 1907 of hand-made sand brick (made locally); The building still stands on Main Street. They, indeed, could be called builders, for they were instrumental in helping to organize the Grapeland State Bank, of which Charlie was president for many years. (His son, C.W. Jr. served as President from 1958-1975). Both were active in the local Chamber of Commerce and the Lions Club. Chester served as the city’s mayor from 1930 until 1944. Some accomplishments during his tenure of office include: Grapeland’s first ordinance for Public Water Works in April, 1930; a franchise to lay gas lines was granted in July, 1930; the first fire truck was purchased in April, 1931; in June, 1939, the city had its first paved streets, and the first street lights were put up in 1944. Charlie served for many years as president of the Grapeland School Board of Trustees (and as such signed the high school diploma of each of his children). He was also an active member of the Board of Stewards of the local Methodist Church. He was a Past Master of Grapeland Masonic Lodge as well as of the Augusta Lodge, and was a 32nd Degree Mason. Chester was a Past Master of Augusta Lodge, also. They continued their interest in farming and were land holders in Houston and Leon Counties. Charlie was a “cotton buyer”. 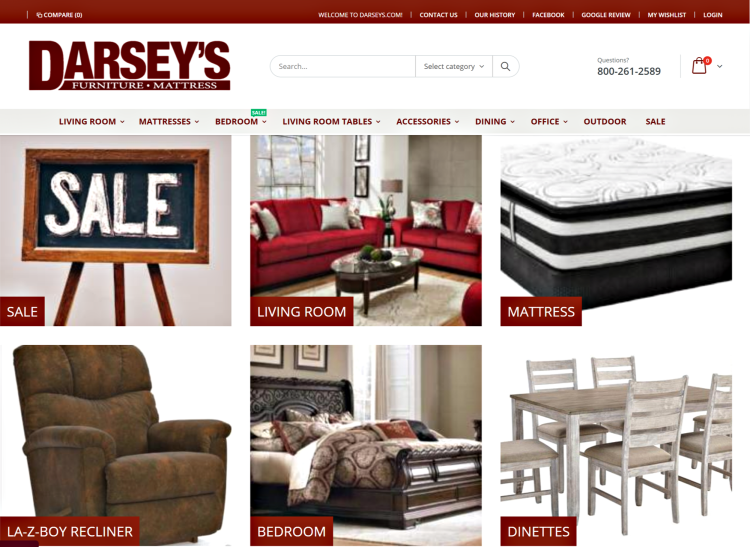 The store served customers from the Neches river to the Trinity River. When these brothers built their homes in 1916 they chose the lots two blocks north of the store on Main Street. Even today that block is called the “Kennedy block”. A time to reflect The familiar scene we sometimes take for granted. Something we grow accustomed to. We expect or hope to see it once again, “Tomorrow”. Mr. George “Jr.” Calhoun enjoys his favorite spot, the old shoeshine chair at City Barber Shop. Residents of Grapeland would find him there daily as he viewed Main Street from his lofty, perch, and visited the barber shop patrons. Mr. Calhoun is gone now, having passed away in May, 1976, and the chair has been sold. But a photograph taken of this usual event, capturing one moment in ‘time, helps preserve the memory of one man, his chair, and a Grapeland tradition. H. H. Dailey and Co.: Early day parade H.H. Dailey and Co. H. H. Dailey bought the T. S. Kent business in 1910 when it was in the location now occupied by Wilma Weaver’s Custom Draperies Shop. 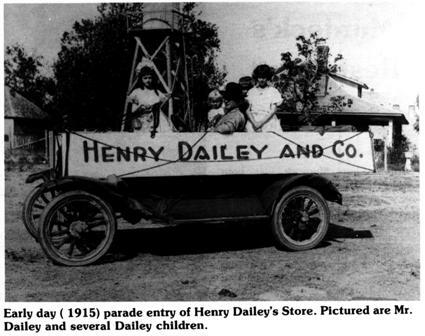 H. H. Dailey operated the business as a single proprietor until 1919 when Dan F. Hill returned home from World War I. At that time a partnership was formed between H. H. Dailey, Mrs. Henry (Leoti) Dailey and Dan F. Hill. This business was moved from the east addition to the Darsey building in block 4, lot 1 (now the drive-in area of the First State Bank). Dailey’s store was closed in the 40’s and the family interest was centered in the Chevrolet business that had been started by H. H. Dailey. H. H. Dailey and Balis E. Dailey started Grapeland Motor Co. in 1927 at the present day site of the U. S. Post Office. They were dealers for the Chevrolet Company and also operated a garage and filling station. H. H. Dailey had the Chevrolet dealership in Grapeland, Crockett and Lovelady. In 1928, he sold more cars than had ever been sold before. In 1929 when the depression and economic crash came, the people who had purchased cars could not pay for them. Mr. Dailey simply told his customers to keep their cars and pay for them later when you are able, H. H. Dailey died in 1934, but the record he set in 1928 held until after the end of World War II. H. H. Dailey was a trader who would trade for anything. After the death of her father, Ruth Ellen Dailey became the driver of the business. She bought out the interest of B. E. Dailey in 1937 and built a new building in 1939. She built a carwash in 1940 and also purchased the lots west of the motor company for a car lot. She built the store building in the lot next to the carwash. Soon after World War II, Ruth Ellen Dailey who had served in the armed force ferrying airplanes from one location to another, moved to Arizona and Arthur Walton, Jr. managed the motor company for her until 1975. In 1975, Bill Rogers bought the Grapeland Motor Company. 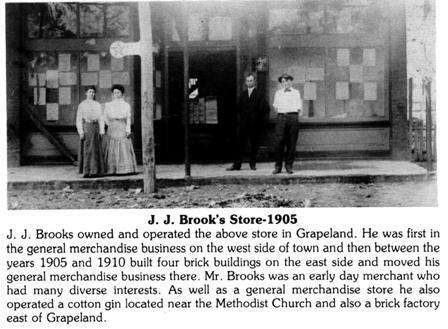 Soon after this purchase, the building burned and Rogers moved the business to its present location on the loop, east of Grapeland. It is now known as Bill Rogers Chevrolet. 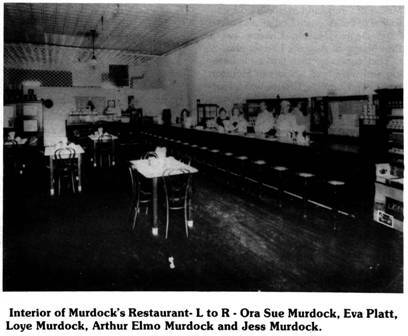 Murdock’s Restaurant: Arthur Elmo Murdock was born February 17, 1891 to H. Sanders and Mollie E. Dotson Murdock. He was one of nine sons born of this union. Most of his 35 years of life were spent in Grapeland. In the early 1920’s, during the Railroad “boom” which originated with International & Great Northern Railroad in 1900 in Grapeland, Arthur Elmo Murdock saw the need for a modern restaurant, mostly because the railroad workers in the switchyard needed a place to eat and relax when they weren’t working. Also, the farmers who brought in their cotton needed a place to drink coffee and eat while waiting in line for their cotton to be ginned. This prompted Elmo and his Uncle Bud Dotson to open the restaurant. 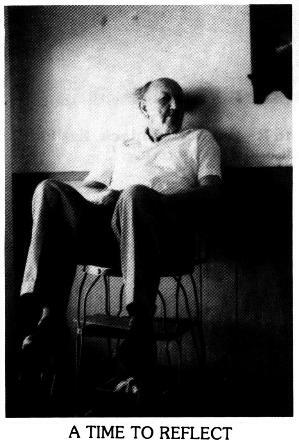 Bud Dotson was reputed to making the “best chili and Irish Stew South of Fort Worth.” Among their assistants was Lewis Murdoch, a brother of Elmo, who was famous around these parts for his ability of “flipping” fried eggs and flap jacks in the air and never losing them. Some “old timers” remember Lewis also discouraged anyone who felt that “fisticuffs” was the only way to settle a disagreement. These ones usually found themselves in the street “face down in the dirt.” The restaurant was open for several years. Arthur Elmo Murdock was a relatively young man when he died January 5, 1926, although during his short lifetime, he had a successful marriage to the lovely Antelus Skidmore Murdock. They had two daughters, Ora Sue Murdock Spence of Dallas and Loye F. Murdock English of Kennard; one son, Arthur Elmo Murdock, Jr., who followed his father in death on December 1, 1934. On January 19, 1978, Antelus, who had remarried A.E. Henderson, also died. Arthur Elmo Murdock’s legacy lives on today in his two daughters, 8 grandchildren, 19 great grandchildren, and 4 great grandchildren. 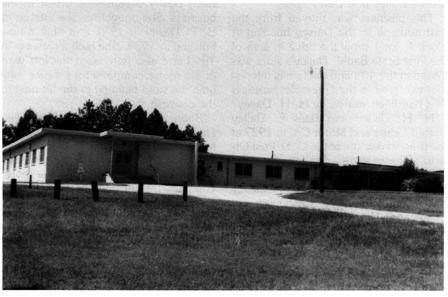 Community Memorial Hospital (Grapeland Hospital): Early in May, 1959, the citizens of this area met and determined that a hospital be set as a community goal. Some 200 persons attended this meeting and quickly voted that a hospital with at least 10 beds, laboratory and operating room was a goal to plan for with facilities planned for expansion. As a result of this meeting adequate committees were appointed to get the plans for the hospital in operation. From this time on an intensive financial campaign was organized and executed. Site for the hospital was chosen. The hospital was given a name. The state charter was obtained and by-laws were adopted. By October, 1961, the Financial Committee reported $23,000 in cash on hand and $20,000 in pledges. With this amount available, the Steering and Building Committee decided that sufficient funds were available with which to start construction of the hospital proper. Construction began October 23, 1961. The building was completed in the fall of 1962 at which time sufficient funds had been donated by citizens and friends of the community to completely pay the cost. A sum total of $57,729.73 was invested in the original building. Needless to say that this figure is low as far as building costs go, but only because much of the labor and the supervisory work were donated by the citizens of the area. By October, 1963, the doctor had been procured and under his direction and guidance the hospital was equipped and furnished. On March 10, the hospital opened with a 15 bed capacity. 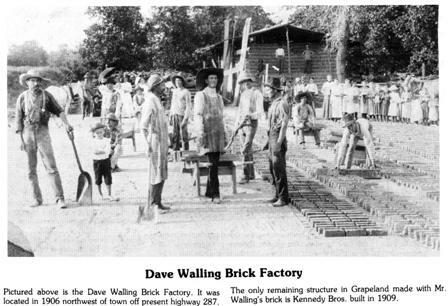 In September, 1966, an expansion program was begun and in July, 1967 the new wing was completed which increased the bed capacity from 15 to 25. In October of 1971 the citizens voted their approval of the formation of a hospital district. At this time, the hospital district did not own or operate the hospital. The physicians being office within the hospital made a physical move to a free standing clinic building adjacent to the hospital during October of 1983. This move created room for additional facilities in the hospital proper. In 1985 the financial conditions of the hospital necessitated the transfer of the ownership and operation of the hospital to the hospital district. The continuing decline in patient average and changes in governmental programs providing hospital care resulted in the decision to close the hospital in September, 1986. “Babe” Shaver Store: “Babe” Shaver began to carve his name in the history of Grapeland in 1924. For many years he and his sons had owned and operated a lumber mill, but felt a calling to serve in a different way. 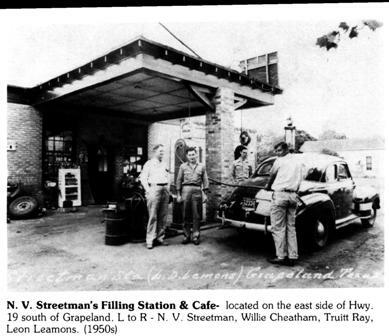 He and his wife, Mattie Whitehead Shaver, moved to Grapeland, bought and opened a grocery and filling station on the highway (building presently located by the Country Kitchen and Motel). Through the years, Babe added and changed several facets of his store…a skating rink, a small cafe, and a feed store. 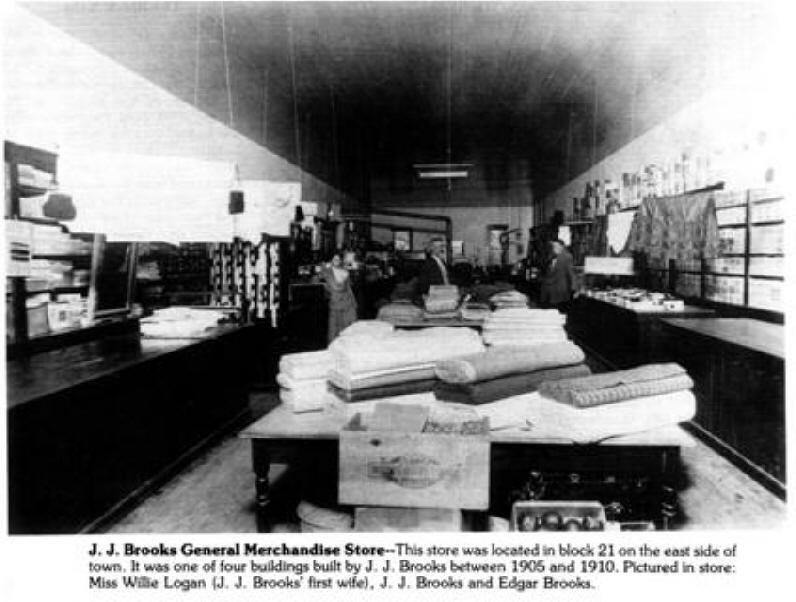 Employees of the store were often grandsons and granddaughters (of which he had a plenty), making the atmosphere always young and pleasant. In the early years flour was 25 cents a sack, potatoes 50 cents a hundred lbs., and Post Toasties 10 cents for a large box. One of Babe’s favorite stories was concerning an overly-conservative customer who always asked him if he would split a half box of post toasties or halve a box of 10′ crackers. Sometimes he would split the crackers, and then sell the remainder of the box with slices of cheese. He always kept a stalk of fresh bananas hanging by the door, and although bananas were 2 or 3 for a nickel, many of his customers often “took” one as they were leaving the store, and rarely did Mr. Shaver call the matter to their attention. Babe and Mattie ran the store until 1930 when it burned. 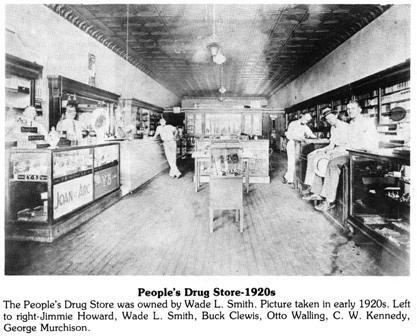 He rebuilt the store and continued in business until mid 1940’s when failing health (and eventual death) caused him to sell the store to his son, Jim Shaver. Jim and Wilma ran the store under the old name, Shaver’s Store, until 1947. Babe Shaver was a mild mannered, honest and serving businessman who loved big touring cars, his customers, sported a handlebar mustache, and whistled while he worked. Salute! Taxi Service – 1916 I am operating a service car from Grapeland to all points. Night trips a specialty. Reasonable charges on all trips. Round trip fare to Crockett $1 per head whether there is one passenger or four. Your patronage appreciated. Phone or call at Goodson Hotel. E. R. Langham. March 5th 1913 Fifteen Business Concerns Destroyed. 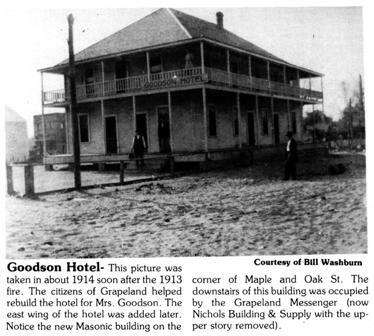 . . Taken from the Grapeland Messenger; March 6, 1913. Fire started at 11 o’clock, burning the whole block in about two hours. Estimated damage around $200,000.00 partly covered by insurance. Tuesday night at 11 o’clock the fire alarm was given and fire was discovered in the middle of the block on Front Street in thePalace of Sweets building. The whole town hurried to the scene, and breaking into the nearby stores, carried out a small portion of the merchandise and furniture. The flames rapidly spread north and south, completely destroying fifteen business houses and the Goodson Hotel. Nearly every business man carried some insurance, but not enough to cover the loss. 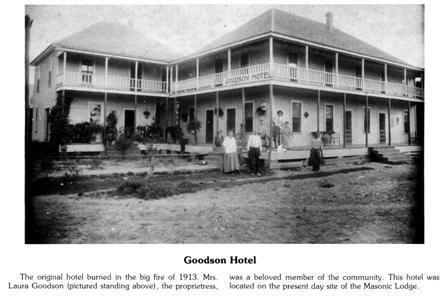 The Goodson Hotel carried no insurance whatever, and was a complete loss, just a few household goods being saved. No time in the history of the city has there been a disaster which caused so much loss. the buckets and tubs were brought into use and every man and a large number of women and children worked to save nearby houses which were out of immediate range of the fire. The residence section in the south part of the city was in some danger during the time the flames were eating their way southward through the block, but after the Darsey stores began burning; the wind changed from the north to the south and allayed the fears for the residences south of the line of stores. just at this time, the Messenger Office and the post office were in great danger and the mystery is how the post office was saved. The pool hall just at the rear and Darsey’s stores on the east side of this building made the heat intense and any ordinary building would have been destroyed. The post office building has been referred to as a ‘fire proof’ structure, as this makes the second large fire it has gone through. It is the same building that stood at the rear of the Hollingsworth store when it burned several ago. On the roofs of the Messenger office and post office, men were stationed with buckets of water to fight back the heat and by hard work they were saved. The men had some difficulty in keeping their footing on these roofs and several slipped and slid to the lower edges, but managed to regain their footing and climb back to the top, and none were hurt. Some hogs and chickens were burned in the flames. The hogs belonged to the meat market and the chickens to S.T. Anthony. The little city was in a high state of excitement for several hours, but notwithstanding this fact, they worked with a will and never stopped until all danger had passed. This morning (Wednesday) hundreds of people is on the ground viewing the ruins of the disaster. 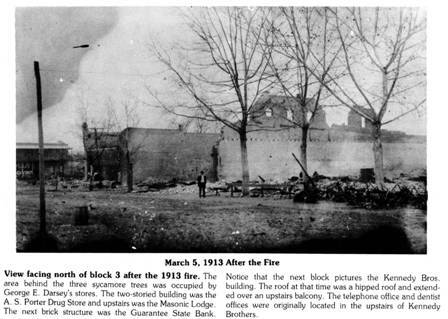 Most all the walls of the brick buildings crumbled to the ground, while the walls of the Guaranty State Bank stood firm, but are damaged to an extent that they will have to be torn away. Many barrels of gasoline, carbon and kerosene oil exploded and helped to feed the flames. For a time, while the fire was raging on the north side, Kennedy Brothers store was threatened. Men were stationed on the long south gallery with buckets of water and the heat was so great that it was necessary to keep wet in order to fight the heat. Twice the banister flamed, but rapid work quenched the flames before they made headway. The fact that the fire was discovered in the early part of the night made it possible to reach the scene in time to save a part of the merchandise and furniture of the buildings joining the building where the fire originated. It is as yet speculation as to the origin. Four telephone Poles were burned down and a number of wires are down causing several telephones to be disconnected, although the long distance connection is alright. Twelve telephones were destroyed. The total loss of the Grapeland Telephone Exchange was about $400.00. Sotte of the poles and lines of the Farmers Union Telephone system were also destroyed. Fast work on the roof of Murchison’s store on the block south of Darsey’s stores, kept the flames from making further progress south. The following list Of losses is about as correct as can be given at this time: W.H. Lively, stock and house, $3,000. Insurance $1,000. Frank Tyer, shoe shop, loss of tools, $75.00m no insurance. D.N. Leaverton, drugs and fixtures, $4500.00. Insurance $2,500, no insurance on building which belonged to B.R. Guice. J.W. Caskey, barbershop, $800.00, insurance $300.00. Building belonged to Geo. E. Darsey, no insurance. J.B. Selkirk, Palace of Sweets, $1050, building belonged to Geo. E. Darsey, no insurance. M.L. 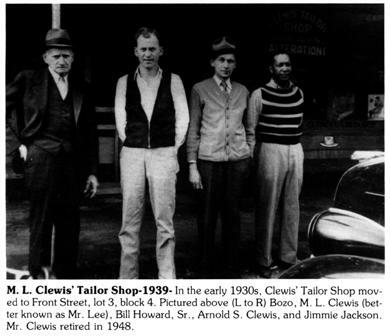 Clewis, tailor shop, $500.00, no insurance. Building belonged to Geo. E. Darsey, no insurance. Guaranty State Bank. on building $2,500.00, on fixtures $2000.00 Insured for $2400.00 W.R. Wherry, $4,200, stock and house, insurance $2,000. A.S. Porter, Stock of drugs and fixtures, $7000. Insurance $3750. Building owned by Walling estate, valued at $5000. Masonic $2250. Geo. E. Darsey, 3 bricks, $10,000. Stock of goods valued at $30,000, two frame buildings valued at $1000. Total insurance $2300. Mrs. Laura Goodson, boarding house and furniture, $15000. no insurance. S.T. Anthony, building and furniture, $1000, insurance $400. Caskey & Lively, meat market, $650, no insurance. Murdock’s Restaurant, $350, and no insurance. Building belonged to Mrs. Fulton. Cason Bush, Pool Hall, $500, no insurance. Building belonged to Bee Singleton, no insurance. Dr. C.L. Cromwell, dental office, $600, no insurance. Every business man the Messenger has interviewed had made temporary arrangements to store the goods that were saved, and just as soon as material can be placed on the ground and workmen can be secured, the buildings that were destroyed will be replaced with modern bricks, and we hope to see our little city rise from these ruins to more beauty and grandeur and that we will never have to witness another disaster. OLD GREY I was big and beautiful and they called me Old Grey My task was easy it was really like play, I was hitched to a buggy shiny and Bright When my Master and Mistress went away for the night, To visit one of their children which were many And grandchildren all ages and sizes aplenty, My Master was tall and wore a goatee so well He looked like a General as he gave the Rebel yell. He was kind and jolly as the children he did join In each hand he place a bright shiny coin, When he hitched me to the buggy for a happy ride He tucked my Mistress in like a new bride, She was small wore bright colors and jewelry galore She truly loved him and her he adored, When they came to visit all field work Ceased In their honor was prepared a big feast, In the evening was cut big watermelons so red Or ate freezers of ice-cream before going to bed, The children gathered around him with eyes all aglow They heard stories of battles of long ago, About the Confederate Army where brave Comrades fell Then pleaded with him to give the Rebel yell, The children still shivering with fright and delight As that awful yell rang out thru the night, One day my Master said Old Grey we are growing old Some changes have to be made but you will not be sold, You will be put out in green pastures to dwell As a reward for serving me faithful and well, Nowhere in the buggy will we three Roam Your Mistress and I are going to the Confederate Home, A few years later they brought him home to stay. A short time later my Mistress by his side laid, As I graze in green pastures and roams the cool dell Often I pause and listen for my Masters Rebel yell.